Welter Law Firm, P.C. - Practical Counsel for the Workplace ® | Is Obesity a Disability in California? 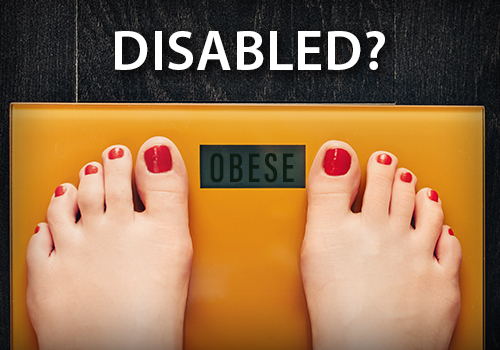 Home > News & Insights > Insights > Is Obesity a Disability in California? In Cornell v. Berkeley Tennis Club, 18 Cal. App. 5th 908, 227 Cal. Rptr. 3d 286 (Ct. App. 2017) the California Court of Appeal conducted an in-depth analysis of plaintiff’s claims of disability discrimination based on her severe obesity. The plaintiff had worked at the Berkley Tennis Club for over 15 years and sued the Club after her employment was terminated. The plaintiff asserted several claims against the Club, including claims under the Fair Employment and Housing Act (FEHA) of disability discrimination and failure to accommodate her disability, disability harassment and retaliation. The plaintiff alleged a new general manager who the Club hired about a year prior to her termination harassed and discriminated against her because of her weight. Eventually, plaintiff was terminated after the Club accused her of secretly planting a recorder to record a board meeting. The trial court granted the Club’s motion for summary adjudication on all claims and issued a final judgment. On appeal, the Court of Appeal reversed the judgment as to the plaintiff’s FEHA claims for discrimination and harassment but affirmed judgment on claims for failure to accommodate and retaliation under the FEHA. In reaching its decision, the Court analyzed whether the plaintiff could demonstrate that her obesity constituted a physical disability under the FEHA. Under previous California precedent, plaintiff was required to show that her obesity had a physiological cause. Yet, the Court also acknowledged that subsequent developments, including an expansion of the definition of “disability” under the Americans with Disabilities Act (ADA), indicate an easing of the burdens associated with establishing a disability. The Court determined that the Club failed to meet its initial burden of demonstrating that Cornell could not establish that her obesity had a physiological cause. For example, the plaintiff testified her doctors told her that her obesity is genetic, and the Court noted that the fact plaintiff had not undergone genetic testing did not undermine her assertion that her obesity is genetic. Additionally, the plaintiff’s doctor did not assess whether her condition had a physiological cause as she did not have a reason to do so, and thus, her testimony did not establish that the plaintiff could never prove such a cause exits. Furthermore, plaintiff’s failure to include a physiological cause in her interrogatory answers also did not show an absence of evidence on the issue as the Club did not explicitly ask about or follow up on a physiological cause for plaintiff’s disability. The Court also held although there were issues of fact as to whether the Club actually believed plaintiff planted the recorder, the plaintiff could not succeed on her failure to accommodate claim as she could not show the Club knew of her actual disability. In other words, she could not show the Club was aware that her obesity might have an underlying physiological cause. The Court did note, however, that plaintiff could have asserted a claim that the Club perceived her to have a disability, which would require only a showing that the employer perceived the obesity as a disability (and not that the obesity had a physiological cause). This case reiterates that obesity alone is not a disability, unless the plaintiff can show his or her obesity has a physiological cause. The Court’s analysis highlights the unique issues that can arise when determining whether an individual’s obesity can qualify as a disability under both state law and the ADA. Thus, employers should carefully consider an employee’s request for accommodation based on his or her obesity and not automatically dismiss the request on the basis that they do not have a duty to accommodate an employee’s weight.